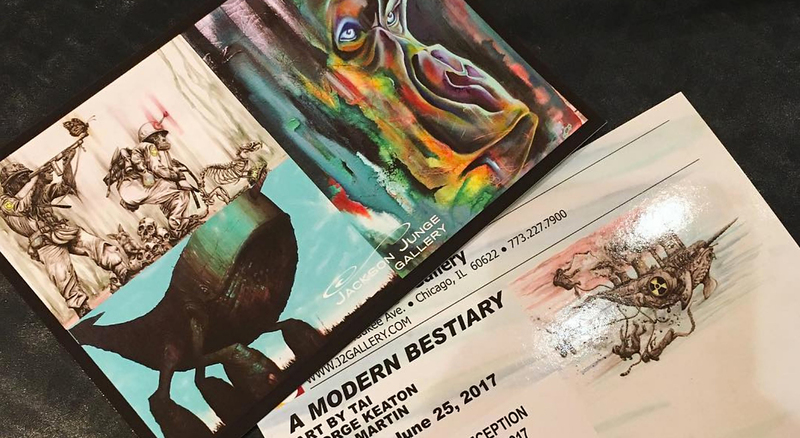 CHICAGO- The Jackson Junge Gallery is honored to present its next programming, A MODERN BESTIARY, featuring in-house artists – Tai Taeoalii, George Keaton, and Ennis Martin. 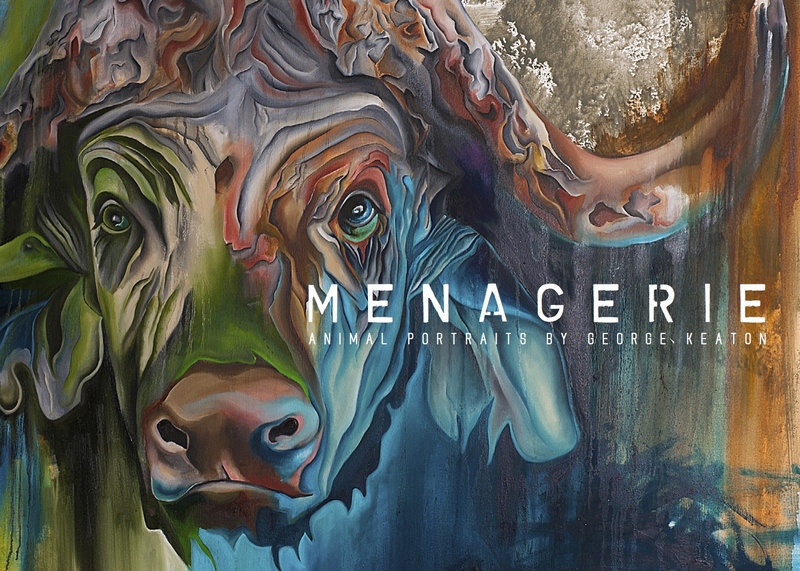 The exhibition will showcase a series of modern “beasts” in the forms of primates, hybrid sci-fi creatures, and the commentary of an artist’s perspective within an animal focal point. The exhibition opens with an artists’ reception on Friday, May 12, 2017 6pm-9pm and runs through June 25, 2017. 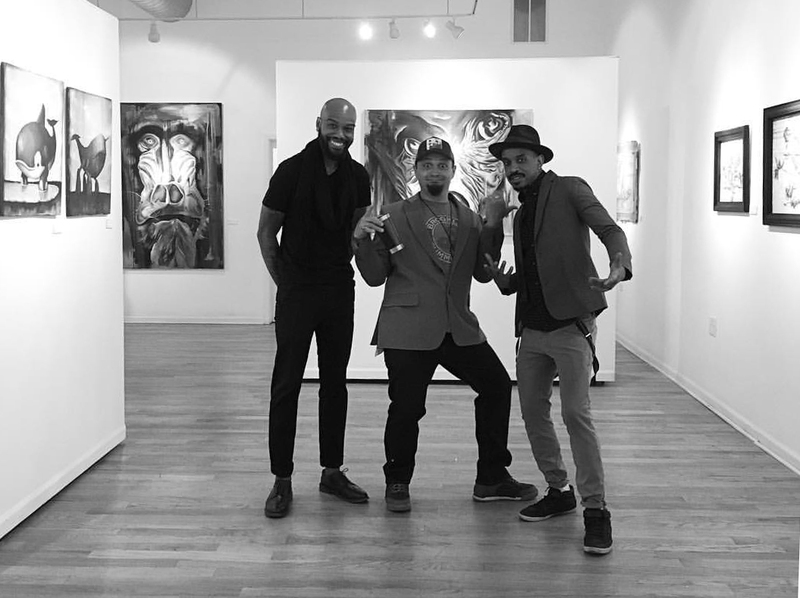 Chicago local, George Keaton who recently celebrated a solo exhibition at the Jackson Junge Gallery, is a self-taught painter. Confident in his subject matter, Keaton still strives to find his artist voice. When asked if there was a particular piece in his current series that stood out for him the most, his reply, “I started a sketch of this baboon piece the day of my son’s birth. I’m waiting for this little guy to be introduced to the world and found myself sketching. I’ve been slowly working on the painting and find the colors to be intense with this physical expression to be commanding- strong, bold.” As of late his focus has been to capture the eyes of his primate subjects. In doing this he hopes to capture the gaze of his viewers. “You could say my work is connected to moments in my life.” Perhaps if eyes are truly windows to the soul, viewers will get a glimpse of the artist himself. Ennis Martin has created a world through a series that is filled with sci-fi, hybrid mechanical creatures. His childhood was filled with inspiring illustrations that he found in comics. The artistry and story-telling that he found in comic books poured over to an appreciation for art and the desire to have a hand in it himself. 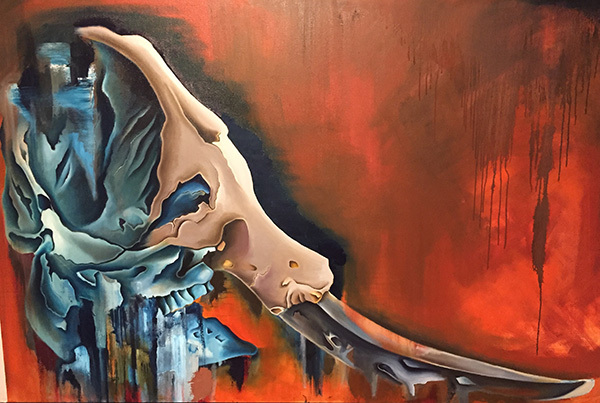 For a time, he dabbled in graffiti and took a few courses at the International Academy of Art in Chicago, where he settled into a style and story that permeates throughout his current artwork. 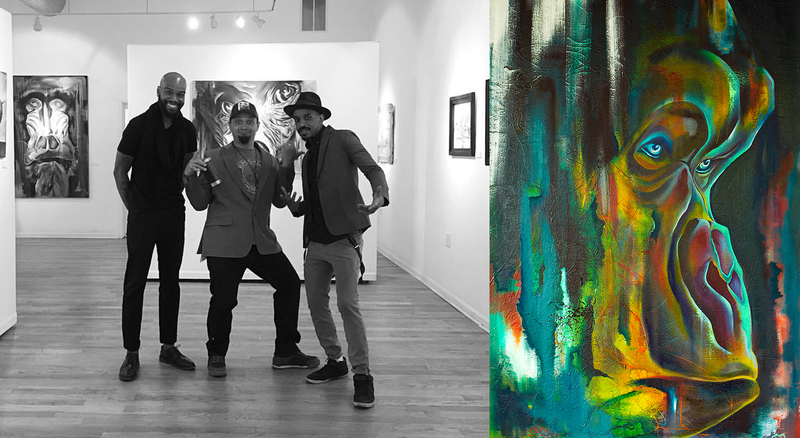 Martin identifies his expression in art as primarily self-taught and continues to devote himself to perfecting his craft in his Chicago home and studio. He envisions an existing purpose for many of his creations in a bio-mechanical representation of an alternative humankind, varying from mechanical teddy bears, owls, and floating whales. Using traditional techniques in a contemporary subject matter, his artwork can be viewed as studies that are ominous & innocent. A Modern Bestiary runs May 12, 2017 – June 25, 2017 and is curated by Gallery Directors Chris Jackson & Laura Junge, and Gallery Assistant Sasha Perez. One guest commented, "You can see the energy you put into it." Another guest commented that some of the animals looked like fossils as there are elements of cracking and a general wearing down. George responds, "Now you become the artist. I'm just the middle man at this point." These emotionally charged images surface amidst a storm of gestural marks in a brilliant color palette.